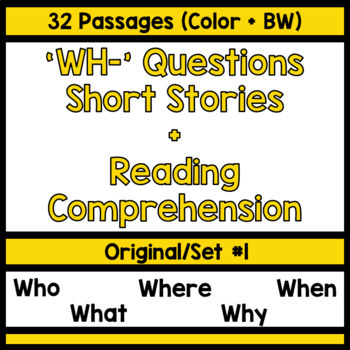 This is a packet of 32 short passages with 'WH questions' (reading comprehension questions) to follow. All passages ask who, what, where, why, and when. 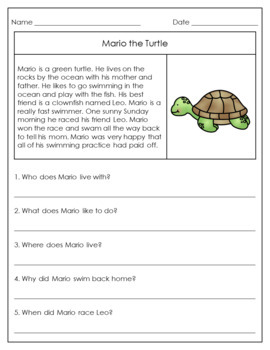 Passages vary in theme from daily tasks to adventures. The passages are short, simple, and to the point. The who, what, where, why, and when can all easily be determined after reading the short passage or after looking directly back at the text. 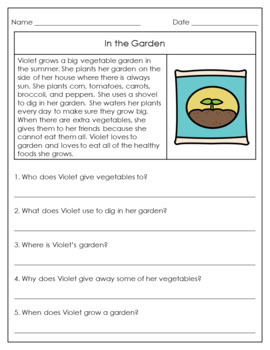 Great for developing basic reading skills as well as comprehension skills.